As pressure mounts on Saudi Arabia amid reports that Journalist Jamal Khashoggi was killed within his country's consulate, US-Saudi relations have been spotlighted. The Washington Post columnist's disappearance has highlighted the US involvement within the Saudi-led Yemen war, and the $110 billion arms deal between the two countries. Euronews talked to Professor Scott Lucas of Birmingham University, an expert on current international affairs, about the relationship between the US, Saudi Arabia, and Turkey as the story of Khashoggi's disappearance unfolds. UN Secretary-General António Guterres has described the Yemen civil war as the "world’s worst humanitarian crisis", with over three-quarters of its population in need of humanitarian aid. The Political unrest began in 2011 after Ali Abdullah Saleh was ousted as president, which was coined as the Yemeni Uprising. 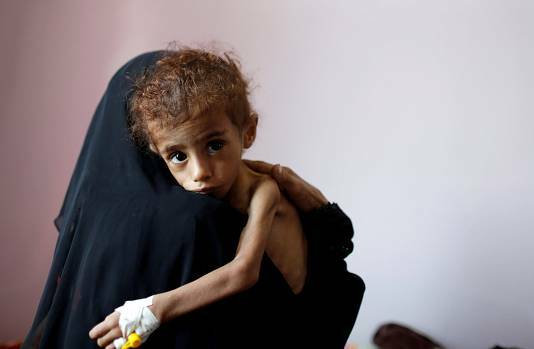 Now in its third year, the civil war between the US supported-Saudi-led Arab coalition and the Iran-backed Houthi rebels have led to millions of Yemeni civilians suffering from starvation in an already impoverished nation. The humanitarian disaster has arguably been overshadowed by the war against ISIS in Syria, with the UN warning Monday that Yemen is tipping toward the "world's worst famine in 100 years" if the catastrophe doesn't change course. "Even before the Khashoggi affair, there was some discontent among ... a few significant legislators both in the House and in the Senate who were raising questions about that deadly Saudi-led intervention," Prof. Lucas said. The Khashoggi investigation has brought new-found scrutiny to the Yemen war and has been "a catalyst for those legislators who have had concerns to be more vocal". Many view the Yemen civil war as a power-play between Saudi-Arabia and Iran which has killed more than 10,000 people to date, although the actual figure is thought to be much higher. Putting the arms deal aside, the US asserted that their involvement in Yemen would be limited to the likes of logistics and refuelling, which was contradicted by a New York Times report suggesting that about a dozen army commandos were deployed to the Saudi Arabia-Yemen border in late 2017. Saudi-led coalition strikes have been condemned by the international community, with a UN report released in August noting that some of their air strikes could amount to war crimes. 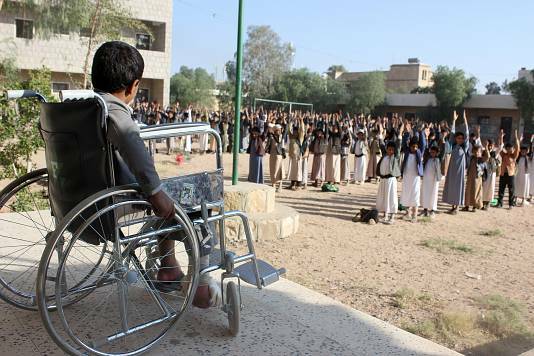 On August 9, an airstrike hit a school bus when travelling through a market in Dahyan, northern Yemen. The attack, which killed 40 children, triggered international outrage, with CNN later reporting that the weapon used was sold to the Saudi's by the US. The UN reports that 2.9 million children and women are acutely malnourished, representing a 90% increase in three years. 18 million, or 60% of the population are food insecure and 50% of all children are stunted. 55% of the population doesn't have regular access to clean water while two million people are displaced. A video filmed in September showed children eating leaves in a bid to survive with international aid failing to reach areas where vital support is needed due to continued fighting. "That is reinforced by the fact that Khashoggi was a columnist for the Washington Post. He was a permanent resident with a home in Washington, so he was very well connected," Prof. Lucas said. Having spoken to officials in the US State Department, Prof. Lucas said that they are "concerned about what has occurred," although they "don't want to see it as a breaking point for the US-Saudi relationship" and are "looking at what should be done next". This is countered by the White House reaction, "as evidenced by Donald Trump's statements, he's just hoping the whole affair goes away very quickly and its quote, business as usual", with Prof. Lucas referring to the $110 billion arms deal between the two nations. US President Trump took to Twitter on October 16 to quelch suspicions that he has personal dealings with Saudi Arabia. "Donald Trump has been far from transparent in terms of the details of his business practices, whether it's releasing his tax returns or actually being forthcoming about the Trump Organisation's current or planned projects," Prof. Lucas noted. Although little is clear about Trump's personal dealings, with him being the first president in modern times to refuse to release his tax returns, Trump has had notable business exchanges with Saudi. Among these include the sale of Trump's yacht to Saudi Prince Alwaleed Bin Talal Bin Abdulaziz al Saud in 1991 and the sale of the whole 45th floor of Trump Tower to Saudis. Trump's tweet also contradicts statements he himself made at a campaign rally in August 2015, when he said: "Saudi Arabia, I get along with all of them. They buy apartments from me. They spend $40 million, $50 million". At another rally, Trump said of the Saudi's, "I make a lot of money from them. "They buy all sorts of my stuff. All kinds of toys from Trump. They pay me millions and hundreds of millions," he added. Within the same tweet, Trump denied having any personal financial interests in Russia. "That is an untruth at least to the extent that Trump eagerly pursued business interests in Russia in the years before he became president," with Prof. Lucas drawing note to a Trump Tower project in Moscow. Trump's former lawyer Michael Cohn and Russian businessman Felix Sater had been in communication to pursue a Trump Organisation project in Moscow while Trump was a presidential candidate in 2015. In a letter, Sater outlined the terms of the deal which was backed by a Russian investor. "I think all you have to say is, whatever the position it is on the business side, that all it took was a 20-minute phone call from King Salman" to "convince Trump of the Saudi side of the story" which would assert that "the King and his son, the Crown Prince, didn't know anything about this". On October 15, Trump speculated that “rogue killers” may be responsible for Khashoggi's death after CNN and the New York Times reported that Saudi Arabia was preparing to acknowledge the journalist's death in a botched interrogation. Will the US-Saudi relationship change as the investigation rolls on? "Unless this can be connected through clear intelligence to the Crown Prince or his father directly ordering the killing of Jamal Khashoggi, I don't really see any significant effects on the US-Saudi relations," Prof. Lucas said. Based on Prof. Lucas' assessment, very little will change within this US administration in relation to US-Saudi relations. "I think there will be no regrets from Saudi Arabia on what it is doing in Yemen" or its ally, the "UAE who is equally as involved in the Yemen". "Even before Donald Trump, Saudi Arabia was a big customer of the United States. It has been seen as a strategic partner of the United States in that region." 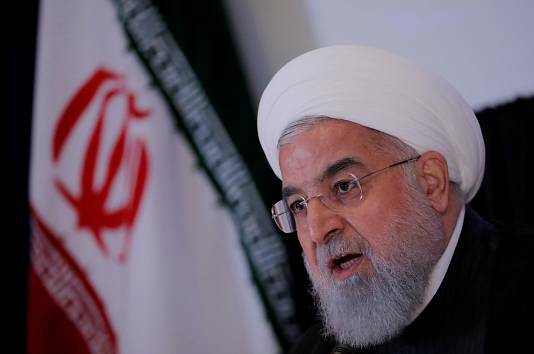 Iran's President Hassan Rouhan and US President Trump continue to spar in a worsening relationship. Prof. Lucas noted that Saudi Arabia is the "chief rival" of Iran. Relations between the US and Iran have buckled over the past 6 months after Trump pulled the US out of the Iran nuclear accord in May, sparking discontent among the three European signatories: Macron, May and Merkel. Releasing a joint statement, they emphasised their "continuing commitment" to the deal, which aimed to halt Tehran's nuclear ambitions. Will other countries manoeuvre their relationship with the Saudis? "I think certain Gulf states, of course, will be manoeuvering because of the Saudi split with Qatar and the split within the GCC [Gulf Cooperation Council]." Prof. Lucas foresees that Turkey will be looking "to get leverage over Rihad because of this ". "So, rather than seeing this first and foremost as a Turkish-US relationship, I think you are looking at the Turks trying to manoeuvre Washington so that they can get a bit more space in terms of where they are positioned in the region versus the Saudis." The Turkey-US relationship has been far from stable, with Washington slapping sanctions on Ankara after a deal in August between Trump and Turkish President Recep Tayyip Erdogan fell through to release pastor Andrew Brunson, an American citizen who was detained on alleged terrorism charges. 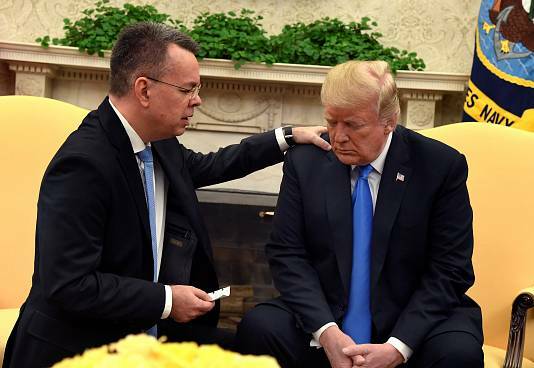 "It's far from coincidental that as the Turks were revealing information about the fate of Jamal Khashoggi, they were releasing the detained pastor Andrew Brunson because they see that as getting favourable points with Trump. Favourable points with Trump means that they get more room to manoeuvre in what is far more, far more complex a relationship than simply Washington and Rihad". 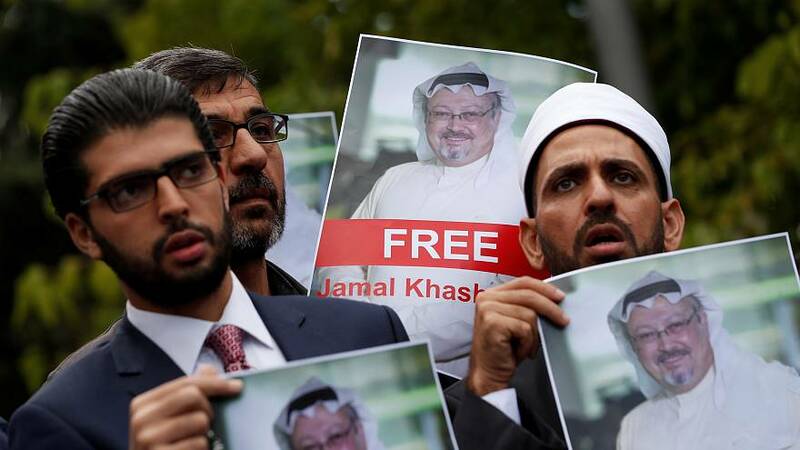 With the fate of Jamal Khashoggi not yet known, the reactions of nations across the Middle East and the West as the investigation continues could give distinct clues to a far more complex web of ever-changing geopolitics and national interests.